I predict both of these will become world champion at some point in their career, Eubank only just starting out so will probably a take a good couple of years though. Fury is British born with northern irish parents, as such he can currently hold the British, irish and commonwealth title. He stand at 6 foor 9 (2.06m) and can fight either orthodox or southpaw. 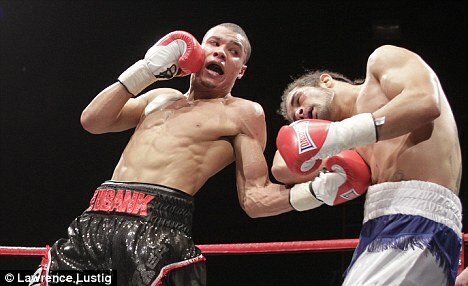 Chris Eubank Jnr shouldn't really need any introduction. His hand speed is awesome. surprise surprise u didnt really have to put their nationality did u ? feel free to let me know the aussies that you think will make it. However, when watching boxing from the UK it's bound to be showing UK boxers. 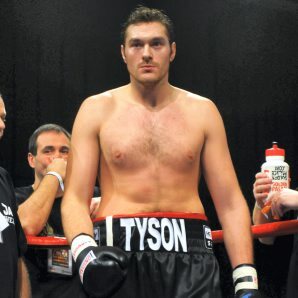 Gotta love the name "Tyson Fury" - almost sounds made up! after seeing him fight, I won't be telling him. Awesome performance at the weekend from Fury. Only Vinny Madallone but in 5 rounds I don't think he got hit. Eubank also got his 5th professional win on the same bill. he won on a bill? why, did u scare him? ps, does he accept email, letter, facebook message? Not up and coming as he's already made it but Carl Froch. WOW!! again not up and coming but the HITMAN IS BACK!! Probably my favourite fighter of all time. U jumping out of the closet??? oh dear, your comebacks just get worse. An Aussie takes out another world champion belt overnight. Reich defended his title against an Englishman and the number 1 contender is English as well. I'm appalled that such language is allowed on football news. You can lead a horse to water but they are bloody hard to drown. Dan Birdwell - You have to play this game like somebody just hit your mother with a two-by-four. If my memory serves me right, he won Olympic Gold. Not seen any of his pro fights, will have a look. He looks the goods but a few questions still unanswered due to his superb performances.